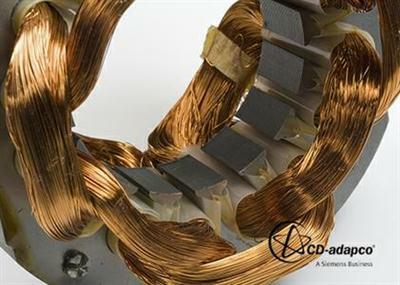 CD-adapco, the largest privately held CFD-focused provider of Computer Aided Engineering software, has released update of SPEED 11.04, its leading electric machine design solution. This release takes a significant step towards intelligent and automated electric machine design, resulting in increased machine efficiency at a lower cost. SPEED is a specialized analysis tool for the design of electric machines such as motors, generators and alternators including the drive with inverters and their control. Backed by 25 years of experience within the SPEED Lab at the University of Glasgow, SPEED has 1500+ international users, including leading manufacturers, designers, developers and users of electric machines. - Sizing and preliminary design of new prototypes. - Characterization of new & existing products: performance study and quick assessment of the effect of parameter changes. Furthermore, its highly organized data in both numerical and graphical form facilitates communication between company sites, and often between supplier and customer. Finally, SPEED can be used in conjunction with high-powered specialist CAE tools such as STAR-CCM+ for the exhaustive analysis of difficult electromagnetic, mechanical, or thermal problems. CD-adapco is the world's largest, privately owned CFD-focused CAE provider. Our core products are the technology-leading simulation packages, STAR-CCM+ and STAR-CD. The scope of our activities, however, extends well beyond CFD software development to encompass a wide range of CAE engineering services in fluid dynamics, heat transfer and structural engineering. Our ongoing mission is to "inspire innovation and reduce costs through the application of engineering simulation software and services." CD-adapco has maintained 15% organic year-on-year growth over the last five years. CD-adapco employs over 900 talented individuals, working at 40 strategic locations across the globe.